©1985 John Irving (P)1999 HarperCollins Publishers, Inc. I bought this book based on its strong reviews and was not disappointed. I could hardly wait to go for a daily run, just to hear more of the story. This is the first John Irving book I've read but won't be my last. 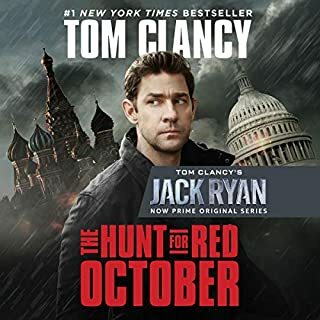 The narration is excellent, a little slow paced, but easy to listen to. I first read this book in 1986, when it first came out. I even saw the movie. Blame it on the passage of time or a bad memory, but all I remembered about it was that I knew I loved it. Engrossing, deep, funny, moving, sad but satisying. John Irving is the best. The very best. Man, can he tell a story. The narrator is perfect. He covers controversial topics, so know what you are getting into before you start it. This is a book you will be thinking about long after it is done and you will so want to talk about it! It has held up to the passage of time well, also. A thought provoking listen that covers joy, sorrow, laughter, heartbreak - a full range of emotions. You can't help but fall in love with Homer and all of his short comings. If you have seen the movie, you need to experience the book. Hope you enjoy both as much as I did! As often happens in my reading, I am curious of how the title was chosen. 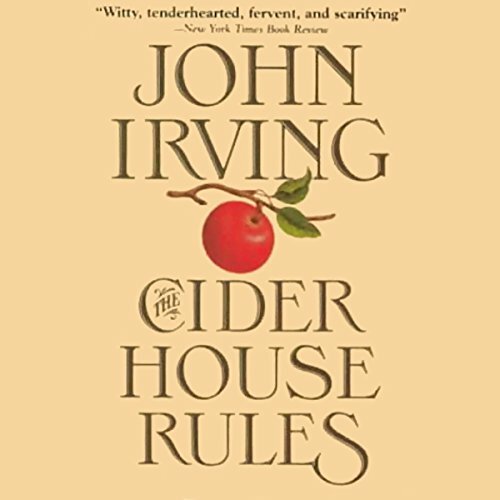 Although the Cider House and their rules were significant to this story, the orphanage was much more central to its theme. Regardless, this was wonderful to listen to. I have not read anything of John Irving's before. And if it weren't for the movie getting such high praise, I probably would not have read this one. But I am glad I did. The characters are wonderful. I did not have trouble following who is who despite the large number of people introduced into the tale. The subject sounds a bit more controversial, to be sure, than it is. But it is presented powerfully simple. I am pro-life, but I am also a nurse and need to offer all options. Just because I do not agree with abortion doesn't mean I rule over you. I can only hope there is a place like this one for those who need it. The atrocities presented in this tale are numerous: class differences, prejudices, addictions, harsh realities of life all of them. But they are told in such a way that they are neither repulsive nor shocking. And I did see the movie after listening to this. I am amazed it was rated so high, as it should be banned for desecrating such a wonderful tale. This selection is well worth your time and money. 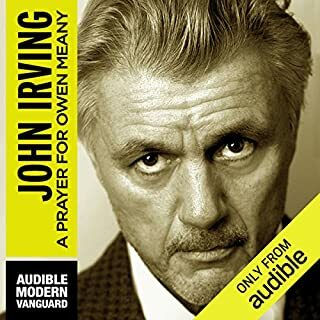 After finishing A Prayer for Owen Meany and enjoying it so immensely, I thought I'd try listening to another book by John Irving. 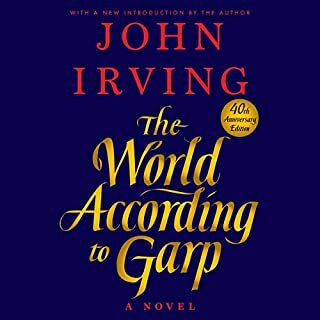 I'd read The World According to Garp several years ago, but was dissuaded after reading so many negative reviews of the audible version. There were many positive reviews for Cider House Rules, so I gave it a go. I remember enjoying the book when I'd first read it and enjoyed the movie as well. It's a really good book. The story is very unique, with many components that make you think about things you wouldn't normally, i.e. the life of an orphan, people with convictions so strong that their lives are centered around them, the many different types of relationships that exist and some of the not so common ways people express love. 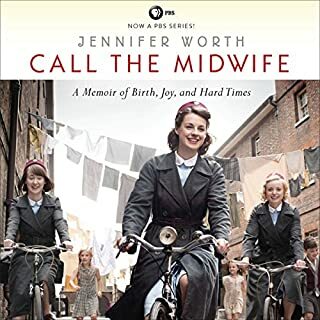 I appreciated the technical medical details of obstetrics and also enjoyed one character's perspective of WWII. 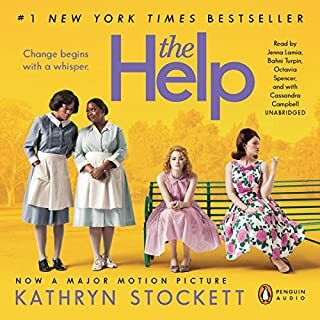 The topics of pregnancy, abortion and adoption were much more intriguing for me this time, not having been a mother when I first read the book. It's a great piece of writing, but does not entertain as much as Garp or Owen Meany. I guess I'm forever spoiled! The narration was good, though the narrator sounded a bit like he was speaking in the 1950's or 60's. You may enjoy this book more if you haven't already read (what I consider to be) Irving's best. This book is much deeper than I remembered from reading it years ago and also seeing the movie. 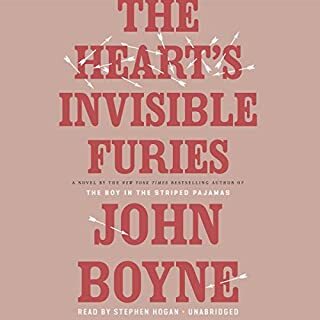 Irving creates 3-dimensional characters and places them in a compelling story to examine the question of whether it's better to be unwanted or unborn. Really well done, including the narration. A compelling story of an orphan and an orphanage where the residing doctor(obstetrician)does the "Lord's work" and the "Devil's work", although it's all the "Lord's work" in the Doctor's and others minds. The story is permeated with a wry sense of humor and well defined, colorful and consistent characters, and interwoven with lots of interesting facts about obstetrics, apple growing and 1920s through 1950s Maine. The story "The Cider House Rules" has the potential to go down in history as an all time classic. If my great grandchildren are reading this book along with the works of Charles Dickens and John Steinbeck, I wouldn't be surprised. John Irving is admittedly one of my favorite writers. His ability to tell epic stories about rich, interesting characters is unrivaled in our time. I will never forget the time I spent with Homer, Melony, Dr. Larch, Fuzzy, Candy, and all the others. Though other authors can write wonderfully engrossing books with thick plots and unexpected twists, nobody can match John Irving for introducing you to real people and making you a part of their lives. I've read 5 of J.I. 's works, all of which moved me and made me a fuller person. "The Cider House Rules" was undoubtedly the best. Grover Gardner does a woderful job with his distinctive voice. He walks a brilliant line between lending credibility to his characters, but not stealing the show. His understated way of narrating/acting was perfect for this book. For the rest of my life, I'll be on the lookout for the next "The Cider House Rules." Since a work of art like this comes along so rarely, don't you miss it. I saw the movie awhile back and enjoyed it, but after reading the book there is so much left out. This book takes you on a journey through so many lives, and leaves you feeling so close to all the characters. I both laughed and cried while listening to this book. Very much a recommended read! I've read/heard much from John Irving, and this one finally overtook Owen Meany as my favorite. I was unimpressed with the main character at first...stick with him. Rarely have I thought back to a novel as often as I've considered this one. Compassionate to both sides of the abortion debate, it's a good book even if you have already decided on your stance.